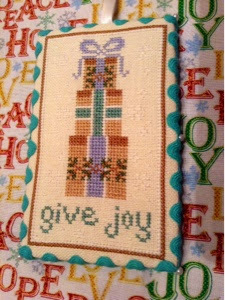 Jaynes stitching tales: December is here. I have been stitching since the late 80's I used to knit till it went out of fashion in the 80's,I enjoy many forms of stitching hardanger,blackwork, any counted stitches, cross-stitch, Quilting,stumpwork,beading and of course my first passion which was knitting.I love the colour purple, I like to stitch samplers I love alphabets, will design my own for special occasions.I like following designer lizzie kate, brent creek,prarie schooler, shepherds bush, little house needlework, Country Cottage Needle work and many more. Every year seems to be going faster, I doesn't seem long since last December, I have signed up to do the Istitch mystery advent sal the first part arrived in my inbox this morning, will not have time today to start already not off to a good start. 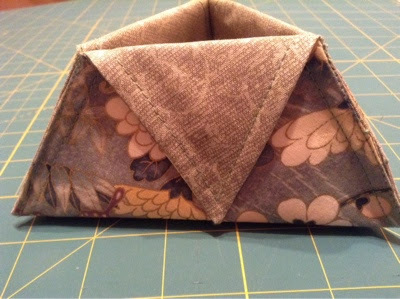 I posted Justine her thread catcher which she won in my give away. It is from Country Cottages Needlework in this years Just Cross-Stitch Christmas Ornaments issue, I stitched it on 28ct cream linen the back has the background fabric on, I loved the colours they are a bit different to the usual Christmas colours. What did I make with these?